We’re here to help you make an informed decision here at South Dade Toyota of Homestead. Fill out the simple form below, and we’ll send you an estimated appraisal within 48 hours. From there, it’s up to you what you want to do! 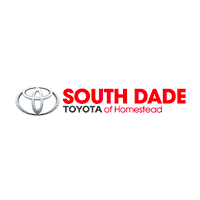 By submitting this form you agree to be contacted by a South Dade Toyota of Homestead staff member.